Sigma Data Systems provides a full range of cybersecurity solutions designed to help your business comply with a variety cybersecurity regulations. We will work with your business to identify what cybersecurity regulatory compliance issues are applicable to your business and then design & implement solutions to address them. We will work with your auditors and/or insurance underwriters to ensure the solutions implemented meet applicable standards. Where do you do business? Do you know what cyber security regulations apply to you? Its time to have a conversation about protecting your business in a digital world. Sigma Data Systems is here to help. Request your free cyber-security assessment today and get SigmaSecure. Developed by the U.S. Federal government, this robust and flexible cybersecurity framework can help government contractors and other businesses comply with a variety of cybersecurity regulations. 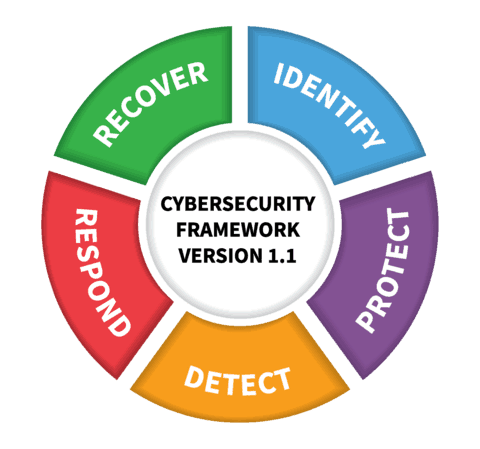 Sigma Data systems utilizes the Cybersecurity Framework as part of its comprehensive cybersecurity assessments to help ensure its clients can meet a wide variety of cybersecurity regulations. If you are a healthcare facility or work with patient healthcare records, the Health Insurance Portability and accountability Act (HIPAA) and/or the Health Information Technology for Economic and Clinical Health Act (HITECH) probably apply to you. Sigma Data Systems can help your business ensure your electronic patient records are properly protected. If your business accepts credit card payments, The Payment Card Industry Data Security Standard (PCI DSS) applies to you. Our team has the experience help secure your network so you can process credit cards securely and help ensure you pass your merchant processor’s cybersecurity checks. On May 25th 2018, The General Data Protection Regulation (GDPR) went into effect in the European Union. Its reach however doesn’t stop at the European shores. If your company regularly does business in Europe or works with EU citizens regularly, chances are GDPR applies to your business. Sigma Data Systems can help you take steps so your business can meet the stringent GDPR Regulations. If you are publicly traded company or work with records of a publicly traded company on their behalf, chances are the Sarbanes-Oxley act (SOX) applies to you. Sigma Data Systems can help you implement data archival solutions for SOX mandated data, and help you implement cybersecurity solutions & controls designed to ensure these archives remain protected and unaltered. Do you supply goods to the Federal Government and/or supply materials to companies working for the Federal Government? If you said yes, chances are 800-171 applies to you. Sigma Data Systems can help you implement cybersecurity protections so you can move towards regulatory compliance with Federal 800-171 regulations. Our clients work hard to build and grow their businesses. We’ve been honored to partner with them over the past 40 years to put our Business-Minded Technology approach to IT solutions to great use.